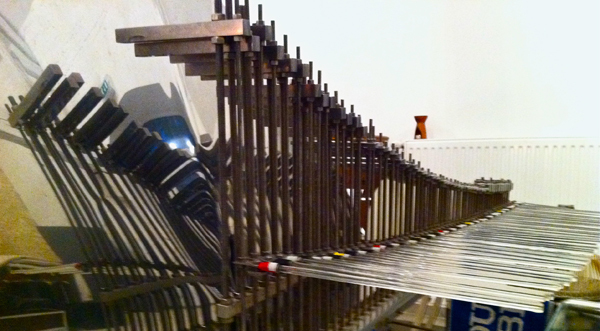 Amazing day with Thomas Bloch near Paris recording the Glass Harmonica, ondes Martenot and Cristal Baschet (above). The Glass Harmonica (invented by Benjamin Franklyn) was particularly hypnotic. It had apparently been used by Dr Franz Mesmer, immortalised by Mozart in Cosi fan tutte, to ‘mesmerise’ his patients. It works. Thomas is an incredible player and I now have some great new material taking the new album to the next stage.